Babylon, at its heart, represents confusion and mixture, where the holy is not distinguished from the unholy. All is worked in together. Tares and wheat, leaven and meal. Babylon is a quasi-religious system where all is mixed together, the natural and the spiritual. And those who are drunken cannot discern the difference; their eyes simply do not see it. They have no spiritual clarity. It has gone long beyond understanding. The “Lie” has worked itself into them deeply, into their heart, their desire; their lives. You cannot convince them otherwise for they are wedded to Babylon and all she represents. Her uncleanness runs far too deep. Like the harlot who cannot merely change her clothes to become other than she is. Her fornication refers to her unholy communion (becoming one spiritual body) with the powers of the world, the political, the economic, anywhere and everywhere the enemy has principalities and strognholds. The harlot is. perhaps, the very woman who has hidden the leaven in the meal. The time is at an end, and Babylon is rising dear saints. A new epoch is upon us. Babylon is not so much a place but a condition, a delusion appreciated only by those who are drunk with the wine of the harlot’s fornication. It stands for everything opposed to the Kingdom of our God, and her King! Once the seduction begins, it will grow increasingly difficult to resist, as every man knows all too well. … And without faith it is impossible to please Him, for he who comes to God must believe that He is and that He is a rewarder of those who seek Him. Dear saints, all those who have the Light of God shining in your hearts, and have beheld the glory of God shining in the face of His Son, Jesus Christ (2 Cor: 4), we thank our Heavenly Father for all of you in this momentous hour. And we exhort you all in love and in Christ to fix your eyes and hope squarely on the only Savior who has come into this world, and is able to preserve you until the time of His appearance. Hold on and hold fast my brethren, and grip ever tighter with all the strength and determination His grace provides, for the testing of our faith in this hour will either weaken it or make it stronger and more steadfast. Now as we consider further the topic of faith, we propose that it is nothing more or less than fixing our eyes on the Faithful One – the Lord and Savior, Jesus Christ. Faith is simply turning our attention to, or fixing our eyes on Jesus – the Way the Truth and the Life, the Author and Perfecter of Faith, the Beginning and the End of all the plans and purposes of the Most High God. We fix our attention on Him that we might, by the grace of the Father through the Holy Spirit, come to know Him and to follow Him wherever He goes. It is by faith alone that we enter most fully into His very life and experience as the All-holy and Almighty One who always pleases the Father in Heaven. In this message, the Lord willing, I would like to examine this further, and consider why our faith might be so important to the Father. Please reflect on the passages listed above, if you have not done so already. I believe that it is essential in this hour that we truly comprehend these matters, as the days ahead may prove to be very unsettling to our place in this world; and our faith in our God and His Word, will largely determine our spiritual condition at His coming. The first thing I would like to mention regarding faith is that it seems, by all indications, to be extremely important to our God. He takes it very personally, in other words, when we are willing to invest all that we are – past, present and future – in Him alone, and in all that He has communicated to us by His word. In Hebrews 11:7, we see that when a man steps out on God’s word in obedience and trust, it is accounted to him as nothing less than righteousness. It is pleasing and precious to God when we take Him solely on His word; when His word, standing on its own, is sufficient for us. For all that He is, and is doing, and will do, is bound up in the word that He has communicated to mankind through all of His various means and instruments. And by this word, we most definitely mean all that the Scriptures associate with it, including the Living Word, the Lord Jesus Christ, who was the Word made flesh (see John 1). Now when the Lord communicates His Word, either through His Son, the Scripture, His messengers, or directly through the still small voice of the Spirit, it is often in diametric opposition to everything that our eyes and experience know to be so. We are to have absolute assurance that everything He has promised will be, but that assurance will by no means come through empirical evidence or the “things which are seen.” It is within this conflict between what the Lord says will be and what appears to be where our faith is tested and refined over time as we wait for His promises to be fulfilled. For not only does the Lord give us His word, but embodied in that is His expectation that we will be willing to wait for Him to perform it in entirety, precisely as He has declared. His Word is given, therefore, not just to communicate His plans and purposes, but to bind to Himself all those who will receive it by faith. Brethren, as we all know, it is a relatively simple thing to confess that you believe in God; It is quite another matter altogether to believe God, especially in the midst of trial and confusion; when His word seems to be at odds with reality. And most certainly, He must know that we will believe Him, and trust Him, not only in the isolated or high moments of our lives, but beyond that such that we will be willing to entrust Him with all that we are, and forsake all things in this world. We then will be prepared to wait however long it takes for Him to restore all things and to fulfill all things in His Beloved Son. ASSURANCE! CONVICTION! HOPE! Did you notice these running through the passages above? Clearly, all of these are rooted solely in His word and all that He has determined for our future. Our faith must bring us to the place where we know that He is more than just God, but to the point where we trust Him to fulfill everything that He has said He will do. That He is faithful and true (Rev. 19:11). That He is a God who always and forever keeps His word. That His word cannot fail; that it will endure forever. That His word is sure and certain, and perfect in every way, flowing out of the very attributes of God that are the foundation of all we believe. That the same Word that breathed life into the physical universe, and created (from nothing) the very planet we are living on, and the environment that sustains us, will also bring forth every other promise that He has uttered. Folks, I am sitting here now looking out the window on a clear morning, at trees, and grass and birds, and cars driving by. This is very real to me, as my eyes convey them to my experience. And because my eyes see these things, I have an assurance that they are real; that they are so. No one in fact needs to convince me otherwise because I trust what I see. In other words, I require no other witness to prove the veracity of what I see with my own eyes. 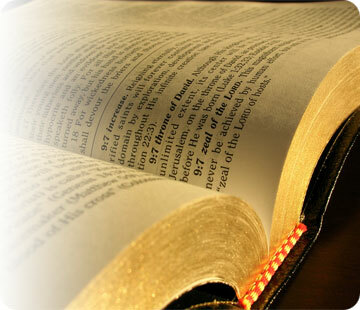 In similar fashion, the Bible speaks of a reality made available to us by faith; and it is a faith based on a word. But not just any word from any source. This is why we must believe that “He is” and that “He is a rewarder of those who seek Him.” Such faith in Him joins us to Him in a very personal and poignant way. It is our personal pledge to the Father who gave that which He loved the most so that we could even begin this life of faith. And I do believe He smiles down on us whenever we simply trust Him with child-like faith, and when He knows that we are ready and willing to live by His every word. In fact, He attributes this to us as righteousness, as something pleasing to Him. This is the point, dear Christian, where our faith moves beyond mere doctrine or religion. Here is where it becomes quite intimate and personal, and we make that vital connection with the Personality that created and sustains all life. For we have determined deep in our hearts (in the inner man) to trust Him unequivocally, to abide in His promises, to endure however long it takes for all of His promises to be fulfilled. Indeed, the Lord of All Life must know that we will not equivocate, that our love for Him and our faith in Him is certain! He must test and refine this faith throughout our lives, day-by-day, moment-by-moment, as a means for us to come to know Him and revere Him, and abide in Him! He must know that our faith is resilient and steadfast; that though our experiences will often seem to contradict His Word and leave us perplexed and distressed, we will in fact hold fast to Him; that we will not leave Him nor forsake Him. He must know that we have come to the place where all that we are is fully invested in eternity (for this is in fact our ultimate habitation); that we place little relative value on things which pass away, and have no real life in them. He must know that we are willing to endure hardship, confusion, perplexity, pain, loss, suffering, whatever it takes – and that such testing will not loose the bond of faith and love that binds us to Him. He must know that we agree with Him in all things, and actively seek a reward that is out ahead, established under better promises, a “better country” offering an “eternal weight of glory” far beyond anything we could ever compare or imagine. Now as easy as this is to write, I know that in our daily walk it is hard; so very hard it seems. And I don’t ever want to suggest it to be otherwise. I know that many of you are, at this very moment, being afflicted, perplexed, struck down and persecuted, and in many ways being brought to the end of yourselves; that your faith is undergoing tremendous trial and testing. I also have a prophetic sense that as the “birth pangs” (see Matthew 24; Romans 8:22) marking the end of this present age increase and become ever more numerous and convulsive, we will be tested even more. Yet I also know that His grace is more than sufficient for us, and that from these broken vessels of clay, the power and majesty of the Living God can come forth as a testimony of His grace, glory and power to all with eyes to see. It is nothing short of His grace and our faith in Him that keeps us from giving way to despair, abandonment, and ultimate destruction amidst such intense trials and the seeming contradiction of our circumstances with His promises. We must learn to look out farther than the moment, or our own lives even, for His plans and purposes encompass all the world, and the reconciliation of all things in Christ. It is a perfect plan from a perfect God and it cannot fail! He has declared it and invited us by His grace to share in its execution, fulfillment and enjoyment! But we must be ready! Yes, we must be made ready! We must prove ourselves faithful and steadfast to Him! Our bond to Him cannot be broken! This is why, I believe, our faith is so important to our God. This is why He takes our faith in Him very personally! This is why all of the champions of faith in Hebrews 11 are preserved there forever in honor. They were all willing to leave all and lose all in the present life, such that they might enter into His promise of something better; out there ahead beyond the horizon. And it is so comforting to know that they were mere human beings – jars of clay – like you and I. Notice in this passage how faith in, and love for God are brought together. Clearly, we cannot go all the way with God in faith, regardless of what we are made to endure, unless we know Him, and love Him, and live by every word that He has breathed into this world. Note how James also suggests (in James 1:2-3) that the testing of our faith produces endurance, and that this endurance is considered blessed (see James 5:11 below) by God. Brethren, I am starting to see that the reason endurance is so highly esteemed by our Lord, is that it is the ultimate testament of our love for Him; that it reinforces over time the choice we have made to believe Him. And our willingness to endure with Him, and to be bruised and broken by Him (as He deems necessary), conveys to Him so much more than mere words or anything else that religion esteems. It affirms most genuinely that we truly do love Him and have joined with Him in all of His eternal plans and purposes. I may be mistaken here, but it appears to me that our Lord most definitely returns or reciprocates our faith in Him with His grace and mercy. As surely as He has imposed the hardship and trial, He will also supply the appropriate measure of grace, peace, wisdom and encouragement (whatever He knows we need really in order to endure and learn what must be learned). I must say that in my own personal experience recently, I am starting to see how wonderful this is, and I praise God for His kindness. I also know on another level that all things, including our faith, begins with His choice to claim us as His own. He will indeed complete all that which He has begun in our lives with Him, and we can do all things through Christ who strengthens us! Amen and Praise God for that. The many melted with fear, but Caleb followed His God fully! I have been asking the Lord what makes a Caleb and a Joshua; what is this faith that follows? Consider the many times the Lord Himself enjoined the people to “follow me”. What did Caleb and Joshua see that all the others did not? Why did they alone see the challenges before them within the scope and shadow of their God when all others shrunk back, and did not trust their God to advance before them? I have determined that, as yet, I am no Caleb – that much of my spiritual walk is still carried out in the soul, based on what I see and know from my experience. To live, to actually and fully live by every word of God, to receive it and be changed by it through this advancing and possessing faith, this is what I need. For – “… whatever is not from faith is sin.” (Rom. 14:23). Why? For all of the reasons we have mentioned and so much more. Because without this faith, the Word of God and the life of God cannot advance. His purpose is stifled, and the fullness of Christ is limited. Life comes forth from His Word; this is the first thing we see in Genesis and the Gospels – that His Word came into the world, that the Word was made flesh to fulfill His living and dynamic purpose. For us creatures, when we speak, our word is an expression of many things – our personality, our mood at the moment, our opinion perhaps. Yet for God, the Creator, His Word is an expression of His active power and volition – it is a thing that brings forth something so much more than His thoughts. It is an agent of life and change in demonstration of who He is as the Creator! His Word is life and we enter into this life through faith, by believing everything He says, and living by every word breathed into the world by God. Experience means nothing! Though every indication in this world is that He is false, it is a lie. If He has said it, it is so! Nothing else matters to those who will follow their God fully in faith! Israel of old believed just enough to cover their doors with the blood of the Lamb and to remain inside their homes until the morning. Yet this must lead onward to a faith that follows outside and beyond, across the sea, through the wilderness, and into a land inhabited by giants. Faith, not will power or human courage or tenacity! Faith believes and follows, and allows reality to be defined by the Word of God and not what we see and know. It is faith made certain. It is the life and power and will of God made manifest in the actual by all those who trust Him and believe Him and place all of their confidence in Him. Our faith doesn’t change God, as some suggest, but rather it acknowledges all that He is already. It opens the door to a new reality where He alone presides over all things in His creation. Oh Lord, we ask humbly for this faith; this faith that follows; this faith made certain; the faith required in this dark hour to trust You alone; to wait for You to fulfill all that You have spoken by Your Word. In Jesus name, we pray. Amen. Dear brethren, beloved of our Precious Lord, I pray for all of you always, that He might find you waiting and watching in this hour; for His appearing for His little ones. Be strong and of great courage, for our King is coming! That which is held in mystery in the present will soon be manifest; and let all who name the name of Christ Jesus be found standing fast in the faith when He comes to fulfill all of His promises. “Lovers of pleasure rather than lovers of God”; yet still wanting to appear very much righteous and christian-like, they hold to a “form of godliness”, yet deny the true spiritual power of this new life in Christ Jesus. I humbly ask you brethren – does this not most accurately describe the current state of the testimony of Christ in this hour? Indeed, maybe you may feel tempted to attribute this state of things to the unsaved world at large, yet this cannot be so. For the children of the devil have always fit this description. What the Lord is revealing through Paul here is the abominable state of the popular and professing church just prior to His appearing. And just like Demas, many Christians will abandon the true testimony of their King for the things of the world – pleasure, money, the glory of men, and a powerless religion that will never produce true godliness or peace in this world. What about you my brother or sister? What is it right at this moment that you love first and most. Are you like the believers in Ephesus that seemed to have all things together but let slip their first love? Are you so caught up in your buying and selling, and arranging your little space in this world that you will be found unworthy and unapproved when the thief comes at night to take away His precious things? Is our Lord your first and deepest love? And does His coming for His saints pervade your hope and attention in this last hour? TO STRENGTHEN THE THINGS THAT REMAIN! TO HOLD FAST WHAT YOU HAVE UNTIL HE COMES! TO RETURN AND REPENT IF NECESSARY! TO KEEP THE WORD OF HIS PATIENCE! Now if this sounds something like a siege, then may we suggest that this is precisely what it is, and we have but a little strength (Rev. 3:8) until our Liberator comes. In the meantime, we are not to give in or give up; we are not to lose hope. Yet our faith and resolve must be tested by He who must know He can trust us; that we are faithful and true to the One Who is the rightful heir and king. Indeed, the counter influences of the flesh and the world, and even the false testimony of Christ that is all around us besiege the child of God daily. Its opposition flows from the enemy himself; the god of this present age who knows he has but a short time. Only in Christ Jesus, only in the Spirit that keeps us, can we truly hope to maintain our purpose and not abandon our present course. He will never abandon us certainly (for He is coming quickly as a thief in the night), but the question remains – will we, as Demas, abandon Him for this present age and its empty promises? Dear saints, if you have not done so recently, I would encourage you to prayerfully review all of these letters to the churches in Revelation, as well as Titus, James, 1st and 2nd Peter, 2nd Timothy and 2nd Thessalonians. For this admonition is directed to us today, and whether we are a Demas (a lover of the present world) or a Paul (a lover of His appearing) depends on whether our hearts receive it or not. In his letter to Titus, Paul once again draws this distinction between the Lord’s appearing and this present age. Rather than love (and be caught up and conformed by) this present age as Demas, we are to stand against it as a living testimony by living “sensibly, righteously and godly”, “looking for the blessed hope and the appearing of the glory of our great God and Savior, Christ Jesus”. For we are a new creation in Christ and a heavenly people. We are not of this world but of His Holy Kingdom that will soon subsume all kingdoms of this present age. All that remains is for the Father to put all of His enemies beneath the feet of His Beloved Son – Jesus Christ. He has been anointed and He is currently marshaling all of His “mighty men” (consider David wandering in the wilderness prior to actually assuming the throne over a united Israel) to serve with Him in His kingdom. The injunction for us is to STAND FAST, as this false and lifeless testimony of Jesus pervades the church and the world like a cancer, and as our Lord allows all iniquity, in Israel, the church and the gentile world, to flourish unto judgment. And what was yet future when Paul and John wrote these epistles, is now the present for us. Those with eyes wide open in the spirit know this to be true. 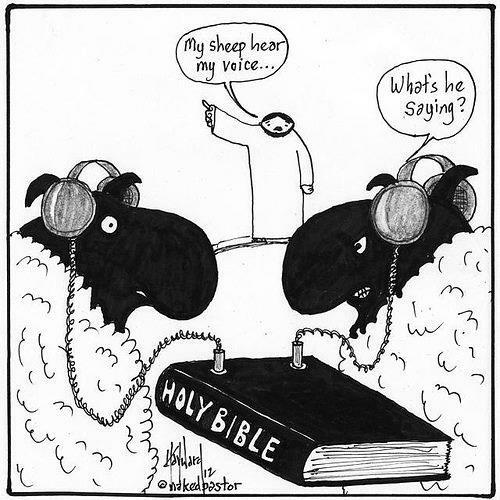 It is not merely one man’s opinion or perspective, but the conviction of the Holy Spirit of truth and the eyes of our Lord as He surveys His flock just prior to His appearing. And the prophetic witness borne of the Spirit indicates that the hour is imminent! Go to Him now, my friends, and ask that this might be so. And we must also ask Him to reveal our hearts to us most fully, that the love of this present world might be replaced by the love of His appearing; and that we might have patience until He comes. This is our sincere prayer for all of you; and may our Lord encourage and establish you in this hour, in all watchfulness and readiness, in all faithfulness and hope; that He might preserve you for His heavenly kingdom (2 Tim. 4:8), and that He might not come as a thief unexpectedly and find us distracted by worldly things. One way we do this is by allowing the Holy Spirit full reign within our hearts to fully sanctify us – spirit, soul and body – before the coming of the Lord. This is nothing less than the complete reproduction of the nature (or image) of Jesus Christ in our human spirit (in fulfillment of Genesis 1:26). So do we set our minds on earthly things to the neglect of our heavenly inheritance in His kingdom? Have we determined that these few fleeting and hollow moments of sensual gratification and earthly glory are worth more than sharing in our Lord’s glorious inheritance of the Kingdom? Have we so quickly forgotten His command to “Seek first the Kingdom of God and His righteousness” and effectively forsaken our first love? Have we allowed our belly to become our god, and to lead us away from our Lord’s table? Are we little more than the Israelite scoffers in the wilderness, pining for a return to the delicacies of Egypt? Dear children, this cannot be, for the time is at hand, and our Lord will come with eyes of fire to judge His people, and who can stand in that day? Oh that we would pray for one another always that we would be kept in this awful hour by His mighty power, and that the proof of our faith might be fully proven and realized. I pray this for all of you dear readers, if indeed you have this hope within you, and you are one who loves His appearing for His saints. Are you ready therefore brethren, for the time will come and indeed is here already, when many (even those professing Christ) will scoff at His appearing, as though it were some kind of impossible dream. But do not let this one fact escape your notice, beloved, that with the Lord one day is like a thousand years, and a thousand years like one day. The Lord is not slow about His promise, as some count slowness, but is patient toward you, not wishing for any to perish but for all to come to repentance. But the day of the Lord will come like a thief, in which the heavens will pass away with a roar and the elements will be destroyed with intense heat, and the earth and its works will be burned up. We see then, brethren, that the admonition for those truly seeking the Lord and loving His appearing in this final hour before the Thief’s coming is consistent among all of the apostles, as the Holy Spirit inspired them all. He alone can keep us, and help us to stand fast in the hope of our salvation, and the coming of His righteous and eternal kingdom, of which we are to share in His inheritance. Only He can establish our hearts against all of the impending unbelief and earthly wisdom pervading the testimony of Christ on the earth at the end of this present age. Now I realize fully that this is a hard message to bear, but the time for ear-tickling, soul-gratifying and flesh-affirming words is long past. Dark and difficult times are upon us, and we may well be that final generation on the earth before the commencement of the final days of tribulation yet to come. There is much here, brethren, to inform our prayers, and I beseech all of you to go to Him now, in supplication and fasting to plead for His grace and help in this time of need. I also solicit your prayers on our behalf, for we are all one in Him dear ones. In Jesus’ Precious and Mighty Name. Amen. Oh dear saints, dear, dear saints and brothers. Have our hearts so fully and uncompromisingly been given to the interests of the Lord in this hour, in this time of such utter abandonment and declension? He has tolerated so much these many centuries since He left us in the body, hasn’t He? So many ideas, concepts, expressions, ambitions – so much that is of men, and not from Him at all. So patient has He been, so long-suffering, as everything associated with His name has become so recklessly degraded, earthly, limited. Consider the gap between the Old and New Testaments, from the time of Ezra to John the Baptist, and how this reminds us of what we have seen since the beloved apostle John left this earth. Synagogues and sects and divisions; merchants as veritable fixtures in the temple. A religion borne of human scholarship, so very well documented yet barely breathed in the lives of men. Division, declension, fleshly and false religion. So that when He arrived in the very flesh, they knew Him not. Simeon and Anna did, yes, for they were not part of the many and their religion. They were given wholly to the Lord’s interests. They did not follow men and creeds and groups and isms or ‘ologies. They were not this or that; they were merely all in for the Lord. Oh how patient is our Lord and Judge. But there comes a time when the fire comes, and when it does, all that is of men, and all that is of the soul will be purged away. This is what the letters to the churches speak to us. “I know your works….” He declares. He sees with piercing eyes, and all that is not truly of Him and from Him and for Him will not stand. I have no doubt that you love the Lord. I am not raising any question about that. But, I do say again, we are involved in a great system which is a very complicated thing, and a great deal of it is not of the Lord. It is something that man has brought in. Man has put his hand upon the things of the Lord, and man has made things according to his own mind, and therefore a great deal has come in which is of man and not of the Lord. And when we say that, we are not only thinking of Christianity in general, we are thinking of ourselves. This is true of ourselves. We have all come into something called Christianity, and we have all taken on something of Christianity, and there may be a great deal that we have to get rid of, and come back to the simple fundamental reality. And the fundamental reality of all realities is the presence of the Lord. We have got to know that the Lord is with us, and that the Lord is with us in all that we do, that this did not originate in our mind. It did not originate in our will, it did not originate in our emotion. It did not come from our soul, this thing has come from the Lord in every detail, like the tabernacle. Just like Jesus Christ, in every detail it has to come to us from God. That ought to send us back to our knees – to go through all our work. It may be necessary for us, from time to time, to stand back and ask the Lord about all that we are doing. ‘Is this out from God, or is it something out from ourselves? Is this way of doing things the mind of God, or is it our mind? Is the Lord in this, or have we come into it?’ You see, that is a great deciding matter. Make no mistake about it! Everything that is only of man is going to perish. Sooner or later it will be shaken. Every man’s work shall be tried in the fire, says the Word of God.